Yoga is freedom…of movement, of mind, of breath and awareness. Yoga greets each practitioner with potential growth, healing, vitality and consciousness. As an instructor, promoter and space holder for many instructors and events, Terri continually witnesses the beauty and empowerment that yoga provides to the teacher, the student and the community – everyone benefits! 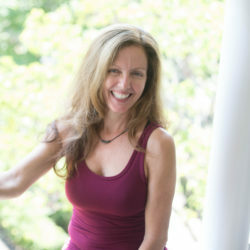 Since 1988, Terri has explored various yoga styles and has studied with many amazing teachers and masters. Terri guides her students with a sense of ease and fluidity and is grateful to share the endless benefits of yoga. 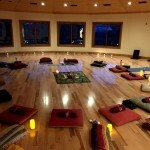 Terri is the Owner, Instructor, and Manager of Plum Tree Yoga in Roswell GA since 2001. She is also certified in Svaroopa and Prenatal Yoga.